Calendar year 2016 was the last program year for the Centers for Medicare & Medicaid Services (CMS) Physician Quality Reporting System and Value-Based Payment Modifier. In 2017, due to the Medicare Access and CHIP Reauthorization Act (MACRA), CMS streamlined these programs into one single program called the Merit-Based Incentive Payment System under the new Quality Payment Program. For more information, visit the TMA MACRA Resource Center. The Centers for Medicare & Medicaid Services (CMS) Physician Quality Reporting System (PQRS) and Value-Based Payment Modifier (VM) program are separate quality programs. The VM program is based partially on participation in PQRS, and the programs each carry an automatic payment penalty for nonparticipation in PQRS or for not satisfying all the PQRS reporting requirements. All solo physicians and group practices who get paid under or based on the Medicare Part B Physician Fee Schedule must comply with quality reporting requirements annually. This resource center answers frequently asked questions and provides current information to guide your quality reporting so you and your practice can avoid future Medicare pay cuts. What Are the Different CMS Physician Quality Programs? There are three main quality programs physicians report their data to and a fourth under which Medicare uses that data to issue public "report cards" on physician quality. How Do These Programs Relate to the New Quality Payment Program Under MACRA? In 2017, these quality programs will change when CMS consolidates the PQRS, VM, and MU programs into the new Merit-Based Incentive Payment System as a result of the Medicare Access and CHIP Reauthorization Act of 2015 (MACRA). If you plan to participate in Medicare's Physician Quality Reporting System (PQRS) and Value-Based Payment Modifier (VM) programs for the 2016 performance period, now is the time to submit your quality measures data. Depending on the reporting mechanism used, deadlines vary from February through March 2017. What Happens If I Choose Not to Participate or Don't Satisfy the Reporting Requirements? Solo physicians and group practices of all sizes will be subject to payment adjustments in 2018 based on quality and cost performance in 2016. Not participating in PQRS or not satisfying all the reporting requirements for the 2016 PQRS reporting period will result in an automatic 2-percent pay cut under PQRS, plus another automatic 2-percent to 4-percent pay cut under the VM, while failure to participate in MU in 2016 will result in an additional automatic 3-percent pay cut — all in 2018. Use this Medicare Payment Adjustment Calculator to calculate your estimated payment adjustments. To learn more about the payment adjustments under each program, visit the PQRS and VM websites. How Do I Get My Quality Reports? Under PQRS, CMS provides physicians feedback reports about your quality performance and whether you will receive a payment cut. Under the VM program, CMS provides physicians quality and resource use reports (QRURs) which provide detailed information about your quality and cost performance; how you compare with your peers; and whether you will receive a bonus payment, no change in payment, or payment cut. An informal review is an appeals-like process that allows physicians and groups to request a review of their incentive eligibility or payment adjustment determination. Will My PQRS Data Get Audited? CMS has contracted with Maryland-based Arch Systems to perform audit-like reviews of PQRS data. The reviews are not official audits but rather a measure validation process and are voluntary this year. However, Arch Systems reports they may became mandatory in the future. For this reason, document all care that is relevant to each quality measure for each reporting period and keep a record of the patients you report on so you may easily identify patient data from a prior performance period. For additional information, see the CMS fact sheet and FAQs. Learn more about these reviews in the July 2015 issue of Texas Medicine. Where Do My PQRS Data Go? 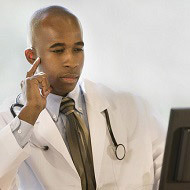 CMS collects quality-of-care performance scores from PQRS and publishes them on the Physician Compare website. This website, which is open to the public, reports information about physicians and other health care professionals who take part in Medicare and satisfactorily participate in CMS quality programs. CMS states the purpose of displaying performance scores is to help patients make informed decisions about their health care and to create incentives for physicians to maximize performance. For more information, visit the CMS Physician Compare website. For help with your quality reporting, turn to the TMF Quality Innovation Network Quality Improvement Organization (QIN-QIO). TMA is collaborating with TMF QIN-QIO by connecting members with free services that help you navigate Medicare requirements to avoid penalties and maximize value-based payments. TMF QIN-QIO helps physicians participate in the current PQRS, VM, and MU programs, which remain in effect through the end of 2018. Access free education and technical assistance by joining the TMF QIN-QIO Value-Based Improvement and Outcomes Network. Learn more about TMF QIN-QIO services in the December 2015 issue of Texas Medicine. CMS is the authoritative source for PQRS and VM program requirements, and each program has its own CMS website with extensive information and resources. For in-depth information, visit the PQRS and VM websites. To stay informed about the latest PQRS and VM news, subscribe to email updates and visit the Medicare Learning Network National Provider Calls and Events webpage. For questions about PQRS, contact the CMS Quality Net Help Desk at (866) 288-8912 Monday through Friday, 7 am-7 pm CT (select option 3, then 7), or by email. 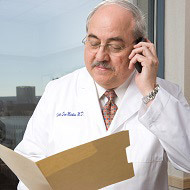 For questions about the VM program, contact the CMS Physician Value Help Desk at (888) 734-6433 Monday through Friday, 7 am-7 pm CT (select option 3), or by email. Visit the TMF Quality Innovation Network website.